Burgundy pinstripes at home against the Padres and powder blues on the road in Milwaukee. By Joe Trinacria·	 6/8/2017, 3:53 p.m.
Photo courtesy of the Phillies. 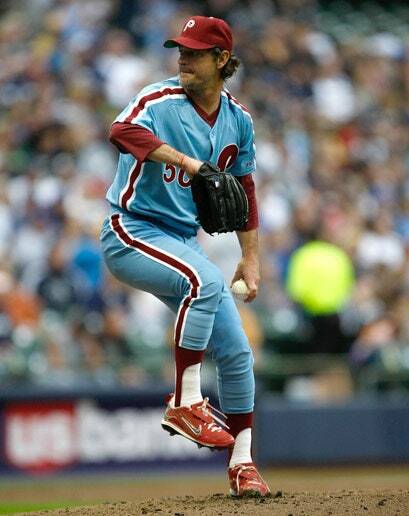 The Phillies will wear 1980s throwback uniforms twice next month – at home against San Diego on July 7th and 9th as well as on the road in Milwaukee the entire following weekend (July 14-16). 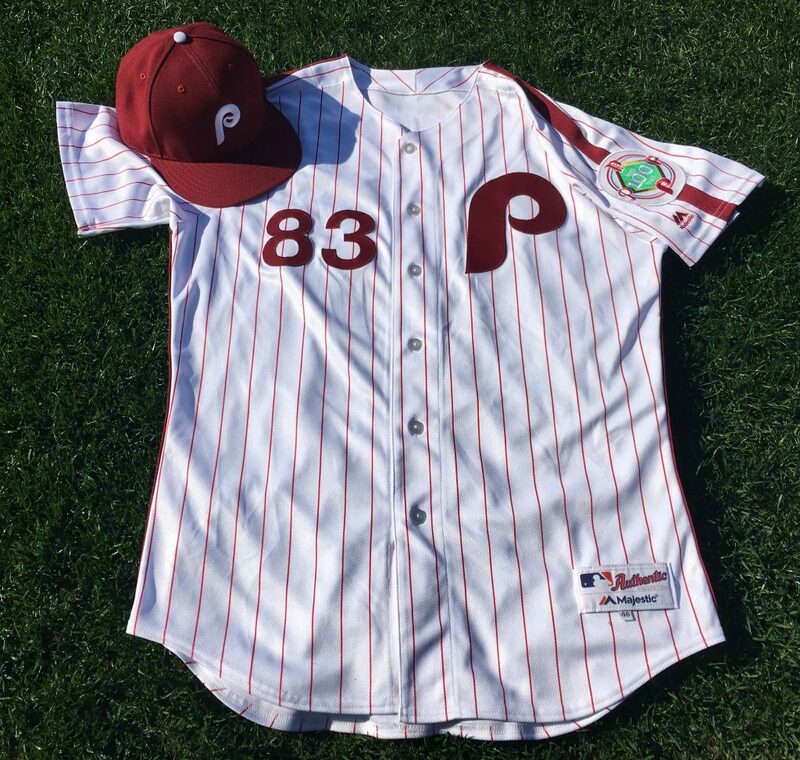 It’ll be a throwback weekend of sorts at Citizens Bank Park, with the Phillies donning the old burgundy pinstripes in honor of Friday night’s “1980s Retro Night” theme (July 7th). There will be an ‘80s tribute band, an appearance by former Phil Bob Dernier – perhaps best-known for this wild Harry Kalas call in ’89 – and post-game fireworks set to hit songs of the decade. Regular home uniforms on Saturday (July 8th), but the turn-back-the-clock weekend will keep on rolling with a bobblehead giveaway to commemorate the 30th anniversary of Michael Jack Schmidt’s 500th home run. 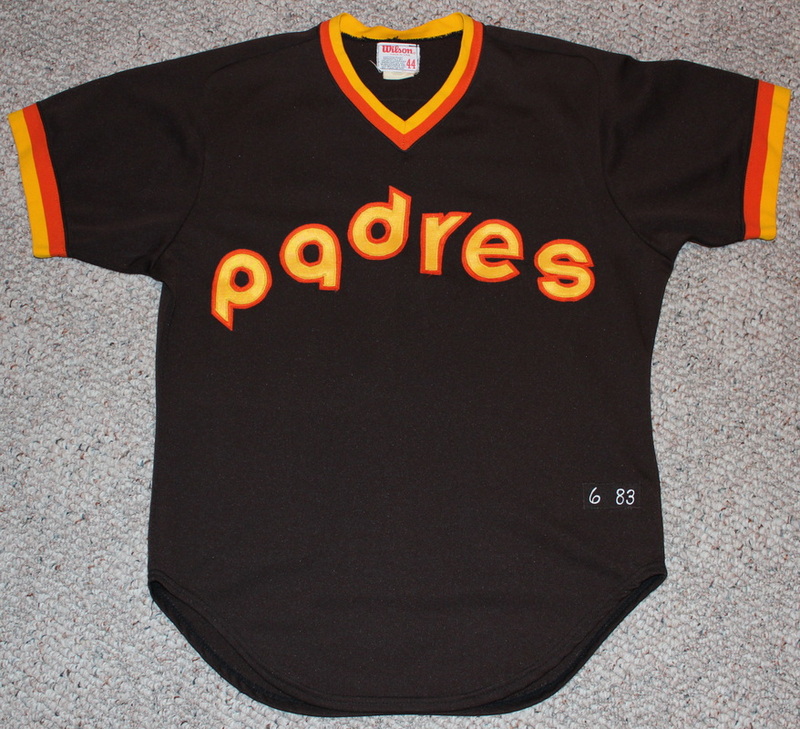 The old jerseys will be worn again on Sunday (July 9th), which will also have a bit of a minor ‘80s flavor in the ballpark. As for in Milwaukee, the Brewers are paying homage to their 1982 American League champions (remember when the Brewers were an A.L. team?) 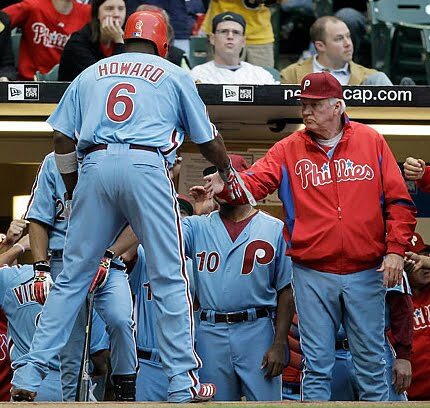 and the Phils will play along by wearing their old powder blues. Allow us to nerd out a bit for a moment, ok? 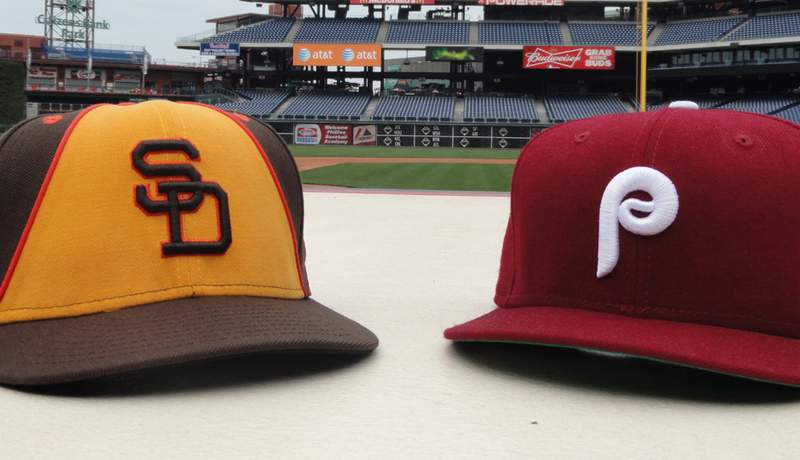 We’ve received confirmation that the Phillies are in fact wearing the correct burgundy helmets that match their uniforms and will not be going the cheap route by putting stickers on their regular red helmets like last time. Now, if only players would wear the proper stirrups and not keep their uniforms so damn baggy, it would actually look like a true throwback baseball game and not like a pajama party.